Every hunter in Ontario knows you can hunt white-tailed deer, elk, moose and black bear - during designated hunting seasons. And what is more is that these birds are very tasty to eat! So get out your ornithology books (bird species books) and learn which ones you can hunt and eat. 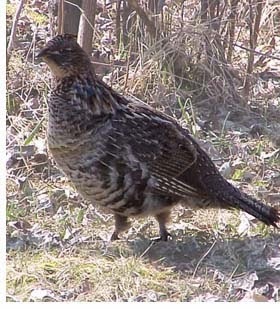 Ontario has various types of grouse, from the popular ruffed grouse to the spruce grouse, which live all across Ontario. The ruffed grouse exists in greatest abundance, roosting all over Ontario and makes for a tasty meal whether stuffed and roasted like a chicken, or BBQd over a campfire. The hunting seasons for these birds are also quite long. Apart from having a sharp wing shot, it is important to carefully consider your choice of ammunition. Under Canadian federal regulation, migratory gamebirds must be hunted with non-toxic shot, although lead shot is still legal for grouse. Wild turkeys are some of the most challenging (and arguably fun) birds to hunt. 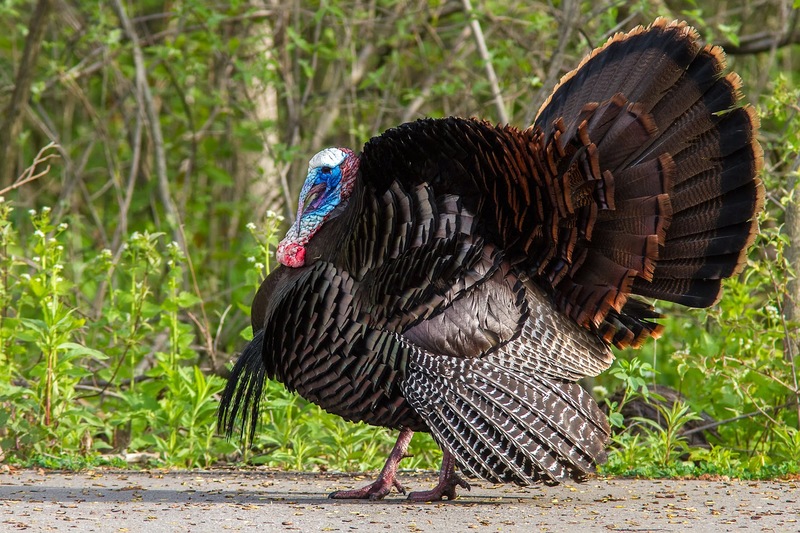 Ontario's provincial population of Wild Turkey now hovers around 80,000 birds in the Southern Ontario region. During Ontario's spring hunting season a two-bird limit applies. Separate turkey tags must be purchased for each, and each bird must be harvested on a separate day. Wild turkey licences are only available after the successful completion of a written examination taken after the one-day Wild Turkey Hunter Education Course that covers biology, hunting techniques and safety measures. This course is mandatory for both residents and non-residents. 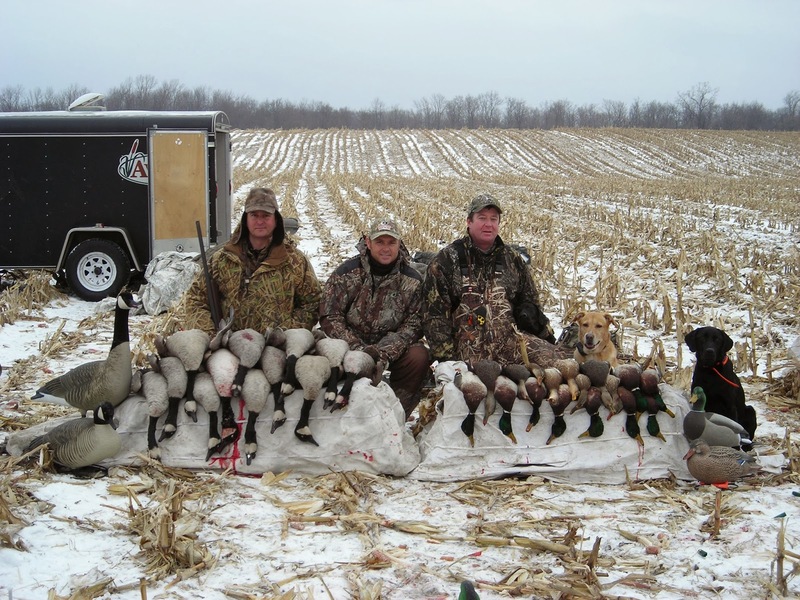 Ontario is a hotspot in North America for waterfowl hunting. Harvesting limits for both duck and goose are generous, and there are a variety of species available to hunters. They include Canada geese (both native and migratory), Brant geese, Maximas geese. Goldeneye ducks, Pintail ducks, Teal ducks, Ringneck ducks, Mallard ducks, Black ducks, Redheads ducks, Widgeons ducks and Canvasback ducks. NOTE! It is not illegal to hunt Canadian geese in Canada. 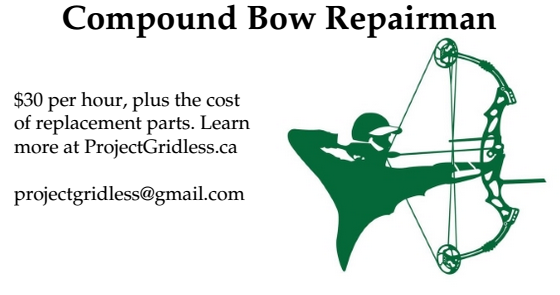 Many non hunters believe it is illegal, but the truth is that hunting Canadian geese is perfectly legal and you just need a hunting license, a gun license (if hunting with rifles), and to follow the various hunting laws and by-laws for the region you are hunting in. With respect to bowhunting, bowhunting of grouse, wild turkey and waterfowl is less common - but not unheard of. The thing to remember is that with birds you want to get a good clean wing shot.